We help you find every Stone Eagle statue in Sniper Elite 4. 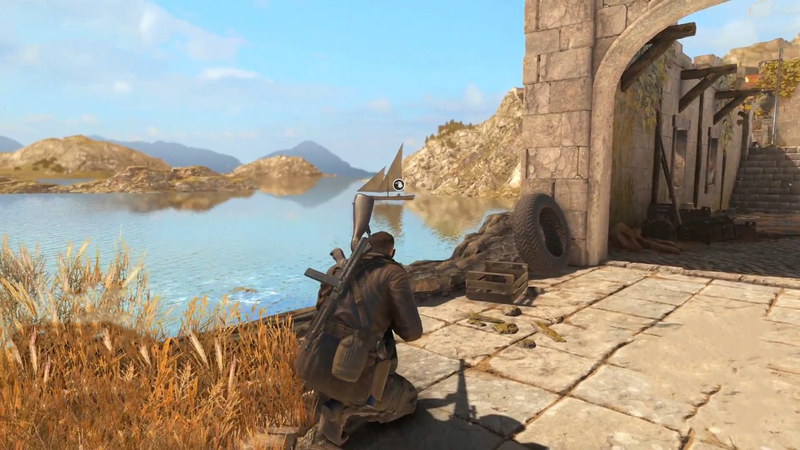 One of Sniper Elite 4's collectibles is the Stone Eagle statue. 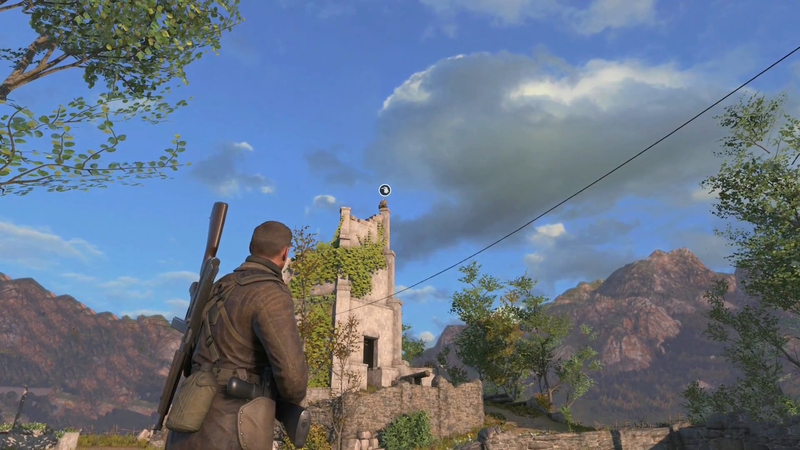 There are Stone Eagle statues scattered throughout the levels of Sniper Elite 4 for you to track down and destroy. If you destroy every Stone Eagle statue, you get the "A Bird in Hand" achievement, so if you're a completionist, you'll want to start looking for them. 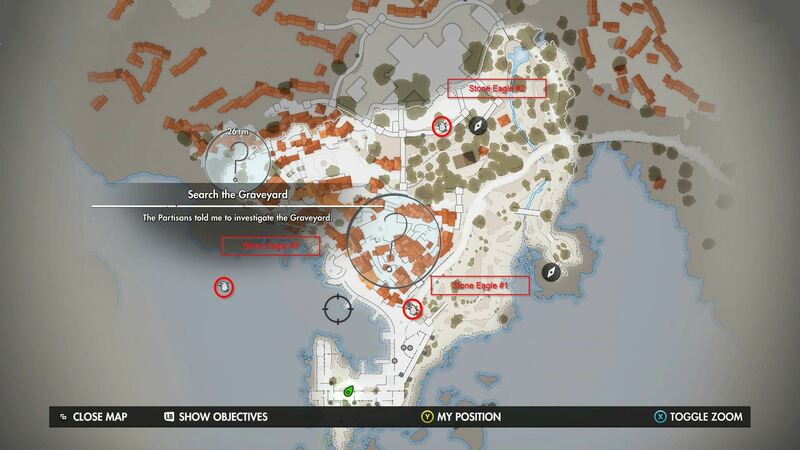 Below are the locations of every Stone Eagle in Sniper Elite 4. 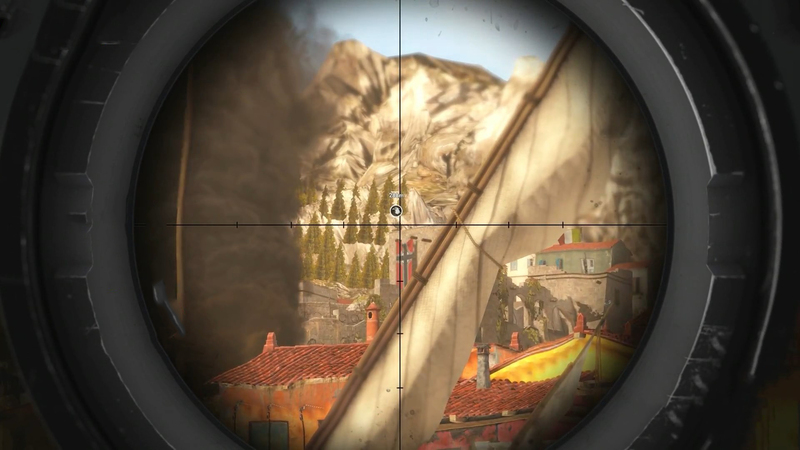 Stone Eagles in Sniper Elite 4 don't do anything individually. They're meant to be destroyed in each level and count towards completing the A Bird in Hand trophy. In most levels, you'll only have to worry about finding three Stone Eagles. However, one level has nine Stone Eagles you must locate. We'll help you find the location of each of these collectibles below. San Celini Island contains three Stone Eagles. Shortly after you arrive on the beach of San Celini at the beginning of the level, you'll find a crumbling stone tower. Climb into this tower and move to the part of the wall that has been damaged creating an opening. If you stand on the edge of the floor and look to your left, you'll see another tower in the distance. Upon this tower rests the first Stone Eagle of San Celini Island. The second Stone Eagle is located near the German Officer target in the harbor. South of the mission objective marker to kill the officer on the map, there is a crumbling stone tower on the cliff overlooking the harbor. The second Stone Eagle can be seen on top of this tower. 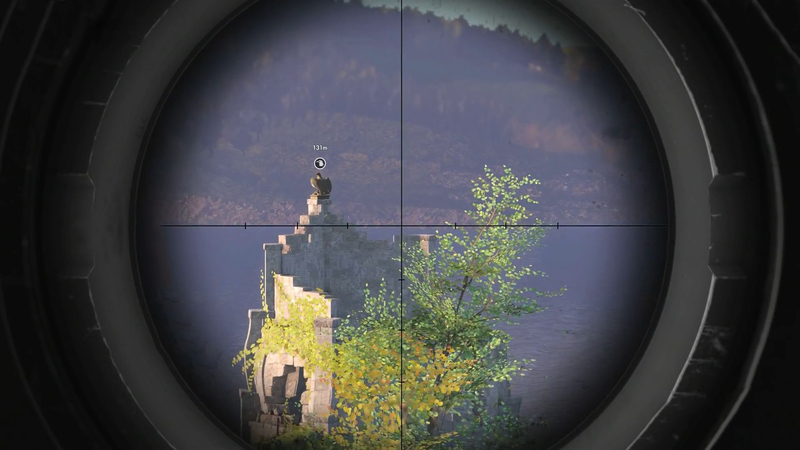 To find the last Stone Eagle in San Celini Island, climb into the sniper's nest in the tower where you found the second Stone Eagle. Look to the North, and you'll see another stone tower in the distance. On top of this tower is the third and last Stone Eagle in the level. There are three Stone Eagles for you to find in the Bitanti Village mission. In the Bitanti Village level, you can destroy every Stone Eagle at the very start of the mission. Proceed through the level and head for the stone walls surrounding Bitanti Village you'll see shortly after starting the mission. From atop the stone walls look towards the village and find an archway above a path leading further into the village. Above the archway is a small window which contains the First Stone Eagle. From the same vantage point, you destroyed the first Stone Eagle, look past the village, and you'll see a stone fortress. 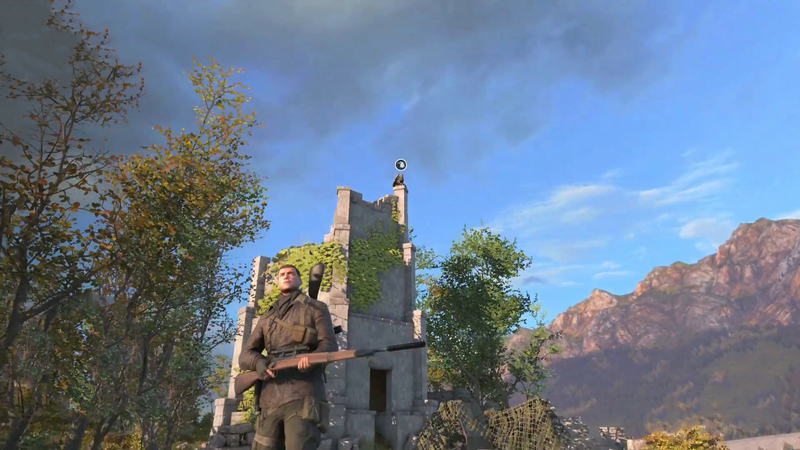 On this fort you'll see a Nazi flag, and right above this flag, sitting on the edge of the tower is the second Stone Eagle. You'll need to look out to the Northwest to find the third Stone Eagle. If you look at the sea in that direction, you'll see a small sailboat. Resting on the sailboat is the third Stone Eagle. We'll be adding more info on where Stone Eagles are located as we find them. 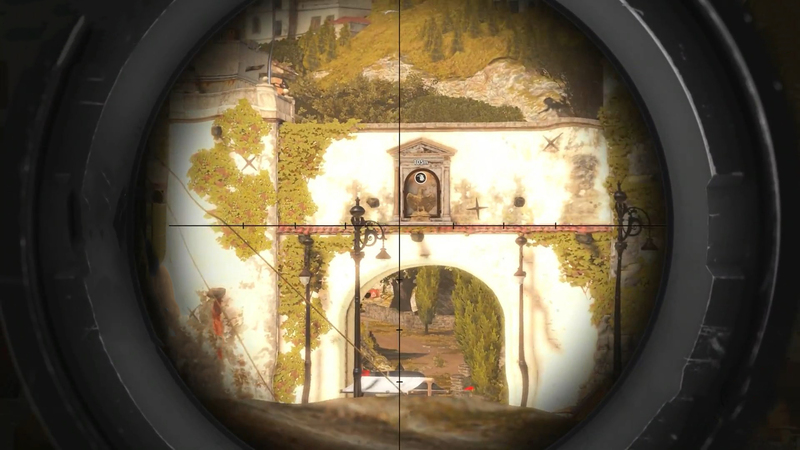 In the meantime, take a look at our Sniper Elite 4 guide hub for more helpful info.